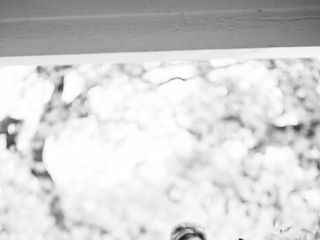 Sarah came to this profession after realizing that she loved weddings and working with people. She would like to help you make this day truly YOURS. 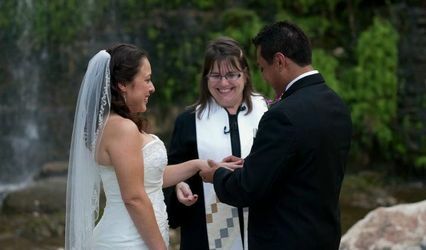 She is happy to craft your vows to be as secular or spiritual, casual or formal, simple or complex as you would like. Sarah understands that, while the goal is to satisfy and represent the bride and groom, there are often other people involved whose traditions need a bit of "a nod". With her guidance, you will, together, write a personalized ceremony that will strike all of the right chords and reflect your personality. 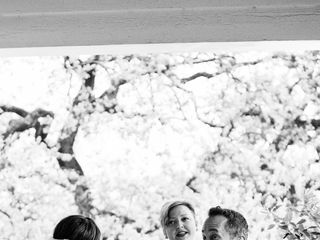 We were so incredibly fortunate to have Sarah and Let’s Do it Vows help us plan and officiate our ceremony! From the moment we asked Sarah to help us, she offered impeccable and professional support. 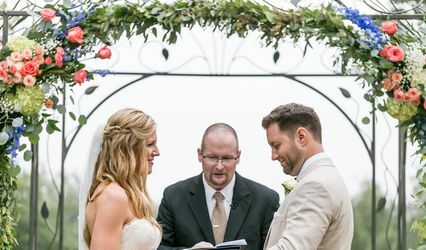 Not only did she make the ceremony planning process immensely easy by providing us with ideas and information which helped us think through the perfect ceremony which was tailored to our needs (this was important as we are a cross-cultural couple!) but she also made it fun. At our outdoor ceremony on the water, Sarah created an environment that made us and our guests feel instantly relaxed but also part of something magical. Numerous guests asked us where we had found Sarah and if we could repeat our vows because they enjoyed the ceremony so much. 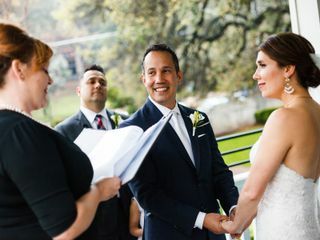 In short, Sarah’s calm and collected attitude combined with her professionalism and Texas flair (she even agreed to wear her red cowboy boots for our ceremony) made our wedding most memorable. We could not recommend Sarah more. We loved having Sarah marry us in our wedding. She made it so easy for us to put together our ideal wedding ceremony. She provided us a ton of example ceremonies and questions to help customize. She was always quick to respond and helpful with any questions. She is a true professional and a joy to work with. When planning a ceremony for a wedding, the options can be incredibly overwhelming. After just our first call with Sarah, my wife and I knew we were going to be in great hands. 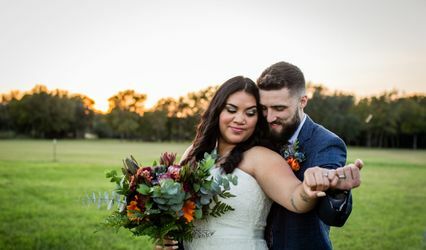 She was able to guide us based on her experience and professionalism while providing an excellent array of curated options that suited the style of ceremony we wanted. She didn't even flinch when we asked her to have the attendees give a hearty Battlestar Galactica "So Say We All" in the middle of the proceedings. I can't recommend her highly enough! Thank you, Sarah! !